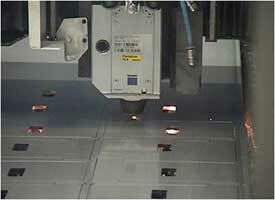 The experts at ELO Engineering, Inc. have decades of experience laser cutting metal and we’ve invested millions in our facility by outfitting it with the most advanced equipment on the market. With these tools we’re able to perform advanced jobs such as punching and laser cutting stainless steel at tighter tolerances than most others in the industry. 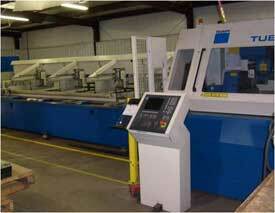 That means you can trust us with your sheet metal forming projects that require nothing less than total precision. 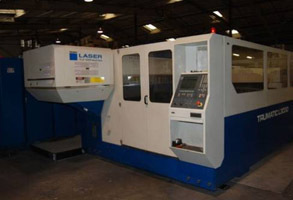 In addition to laser cutting metal, ELO Engineering, Inc. also provides its customers with a host of other metal fabrication services, including machining, robotic and hand welding, grinding, painting, assembly, kitting, and more. ELO also offers all of its customers valuable engineering support that can help drive down costs and improve your component, whether it’s a frame, chassis, door, electrical enclosure, or any other type of metal part. We also keep our own costs low by operating with a lean manufacturing philosophy and using industry best practices such as kanban. And because we know the bottom line for every sheet metal manufacturer is having the parts you need when and where you need them, we provide integrated inventory forecasting. If you’d like a quote or more information about any of our fabrication services, including metal laser cutting, contact ELO Engineering, Inc. today.